Many engineering firms offer services that are narrow in discipline to their clients; these firms may specialize in Automation or Structural or Mechanical Engineering only. This narrow scope of ability leaves the client with the task of either locating additional resources to complete the project, or it requires the firm to subcontract the engineering that they cannot fulfill. Having separation of engineering resources introduces a communication gap to the continuity of a project, along with another layer of cost due to the subcontracting needs. 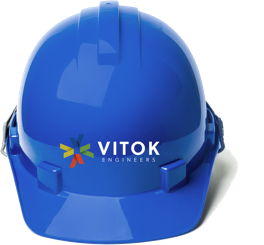 Here at VITOK, we have experienced staff in every major engineering discipline required for an industrial engineering project. Our firm has trained Project Managers that ensure client communication is always a priority, and they coordinate internal resources between the engineering departments to ensure successful project completion. Everyone working together for your project is sharing the same coffeemaker. Here at VITOK, we're a team - everyone working together on your project is sharing the same coffeemaker.